Costa Rica is the third largest country in Central America. This is a region known for having great weather all year long. 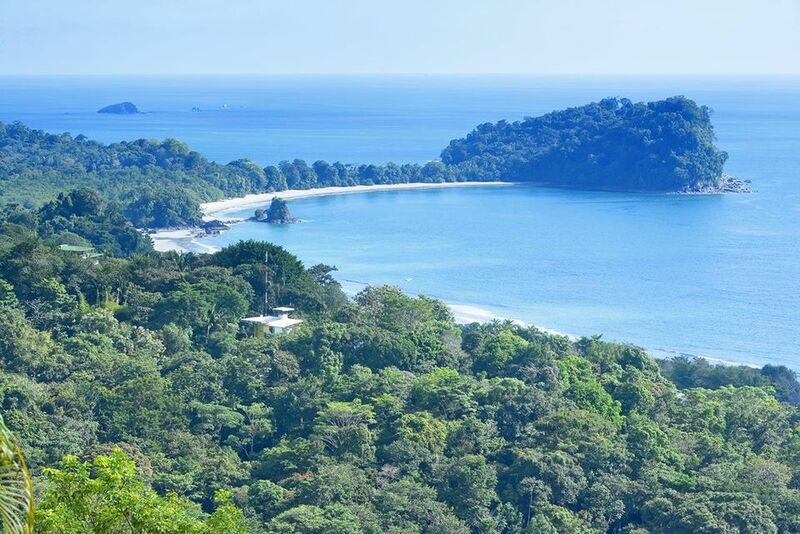 In the case of Costa Rica, it has become a fantastic place to visit for all of those who enjoy nature, adventure, gorgeous beaches, and wildlife encounters. This is definitely an amazing option for anyone looking to get away to a place where it is always either summer or spring. The only time when the weather might be an issue is during the worse months of the rainy season and even then you still get half of the day of sunshine. Keep reading to find the average temperatures during April and learn about all of the cool events that take place in Costa Rica at that time. In April there is rainfall in Costa Rica but it is moderate and temperatures tend to be quite high. This is the transition time between summer and the rainy season. This is when prices start to drop and rain isn't so bad that it won't allow you to do anything outdoors. However, be aware that prices will start going down only when Holy Week has passed. Locals from Costa Rica love a good celebration, each month the different towns host some kind of celebration. The Easter Holidays: Also called Holy Week or Semana Santa, the week-long Easter holidays mark one of Costa Rica’s most memorable celebrations. The country essentially shuts down to rejoice—even buses stop running on Holy Thursday and Good Friday. Religious parades fill the streets of numerous towns. Other festivities include rodeos, bullfights, concerts, carnivals, and more. Religious processions that commemorate the last week of Jesus Christ before his death, culminating in the celebration of Easter Sunday. Most traditional businesses are closed on Thursday and Friday (National Holidays) but you will be able to find tons of street food stands. Juan Santamaria Day: Locals also know this celebration as the National Hero’s Day. April 11 is a public holiday that honors the Tico who defeated American invader William Walker at the 1856 battle of Rivas. This is a day where you will find tons of colorful parades mainly from schools. Sea Turtles Nesting Season: If you go to the Pacific coast you might be able to run into Olive Ridleys as they arrive at the beach for nesting. If you go to the Caribbean Coast (Tortuguero National Park) You might be able to find Leatherbacks. On both of the coasts, you are more than welcome to visit some rescue center to help out and meet these beautiful creatures. Because Easter and the rest of Holy Week are so widely celebrated in Costa Rica, it can be difficult for travelers to find rooms without booking far in advance. This means that you will have to book your hotels at least two months in advance. Showing up without a reservation is a recipe for disaster. Businesses close during Holy Week, prices are raised, and the beaches are crammed with revelers. However, the religious processions and festivities are a sight to behold—just be prepared.